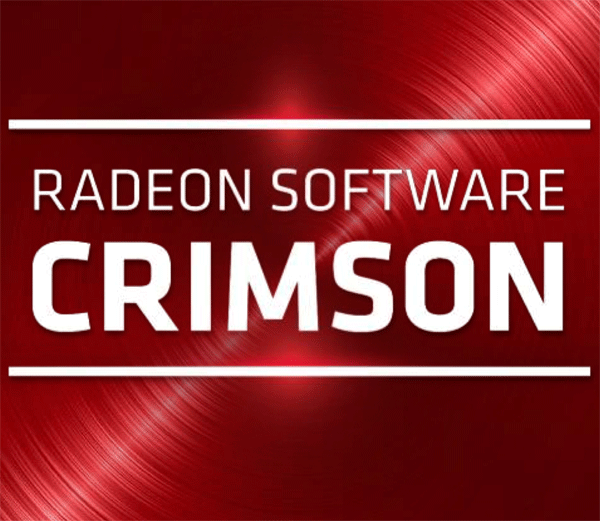 The AMD ​Radeon Software Crimson Edition Graphics Driver brings all-new features and a completely revamped interface to replace the aging Catalyst Control Center. The main new addition to Radeon Software is a redesigned driver utility called Radeon Settings that focuses on accessibility and usability. Rather than hiding various features in confusing drop-down menus and cluttered panels, Radeon Settings is now much easier to navigate thanks to suitable separation of features into different tabs. Radeon Settings is the new, streamlined user interface, engineered to bring out the best of AMD graphics hardware. User-friendly and feature-rich, Radeon Settings is lightning fast and starts upto 10x times faster1​ than the previous AMD Catalyst Control Center. Radeon Settings provides a brand new game manager, improved AMD Overdrive options per game and new video, display and Eyefinity tabs. The driver installer now provides a brand new, streamlined user experience with a reduced number of clicks required, providing better usability and an easy to install user experience. The AMD Radeon Software Crimson edition is the first publicly available driver that enables all LiquidVR features, which are currently being validated and tested by VR headset manufacturers and ecosystem partners. A feature that has been extensively used by game console developers is now available to PC Gamers. Asychronous Shaders break complex serial workloads into smaller parallel tasks, thereby allowing idle GPU resources to be used more efficiently and parallel workloads allow taskes to be completed much faster. The shader cache feature allows complex shaders to be cached, thereby resulting in reduced game load times, lower CPU usage and reduced stuttering and latency during gameplay2​. The optimized Flip Queue Size provides users with the very latest keyboard and mouse positional information during gameplay to reduce input latency on DirectX 9® , DirectX® 10 and DirectX 11 applications. This feature is a driver optimization, therefore it is automatically enabled and requires no user configuration or setup. This feature provides users more control over display capabilities allowing the user to create custom display profiles to attempt to drive their display with chosen resolution, timings, refresh rates and pixel clocks. Frame pacing support is now extended to DirectX 9 titles. FRTC enhancements include: power saving capabilty, support for DirectX 9 titles and an extended range for target control (30 - 200 FPS). Improved power optimizations for video, gaming and FRTC enabled gaming environments (AMD Radeon R7 360, AMD Radeon R9 380, AMD Radeon R9 390 series and AMD Radeon Fury series). Enhanced image quality for 1080p media content scaled to 4K resolution using adaptive directional filtering technology (AMD Radeon Fury products). Qualative changes are now content adaptive and provides video enthusiasts with improved video quality and contrast settings (AMD Radeon™ R8 285, AMD Radeon™ R9 380 and AMD Radeon Fury products).